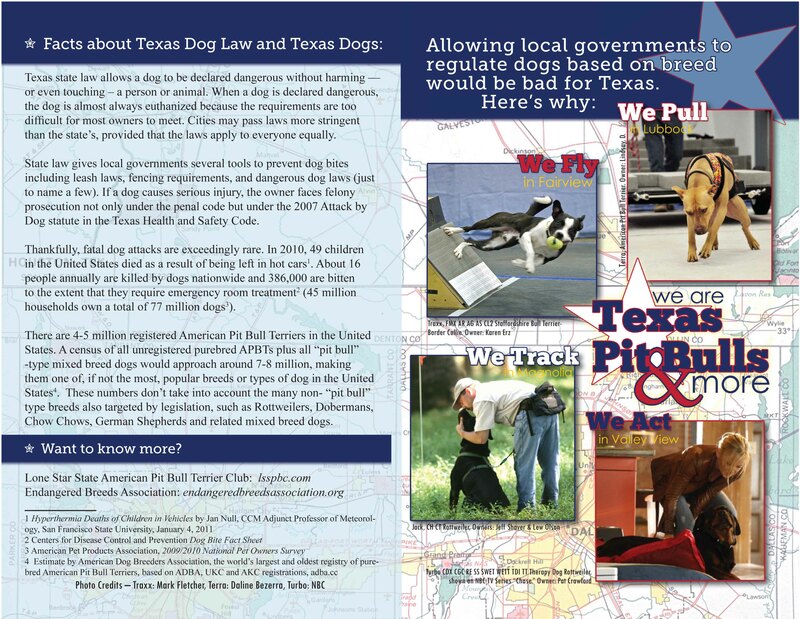 Texas is one of a growing number of states that prohibit breed-specific legislation. 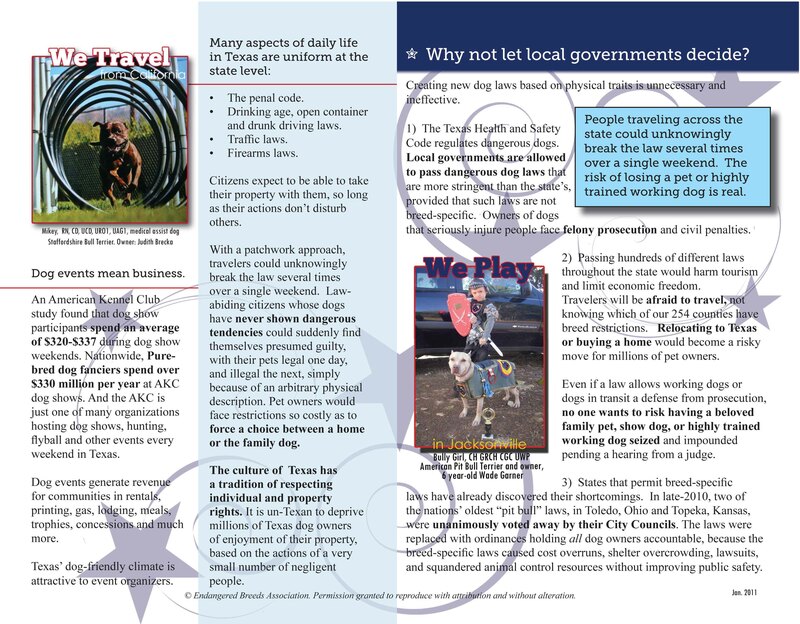 This means, for example, that state law does not allow a local City Council or County Commissioner’s Court to ban “pit bulls,” Chow Chows, Rottweilers, and so forth. BSL Brochure inside front and inside back.